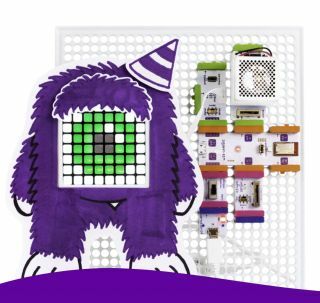 littleBits, the educational technology company that is reinventing the way kids learn, today announced two new Expansion Packs that expand upon the foundation of the STEAM Student Set and Code Kit with additional hardware and instructional content. Designed to deepen students’ understanding of Engineering Design and Computer Programming, these new solutions are banded by grade and subject -- with additional invention opportunities weaved in. Each Expansion Pack offers more than 12 hours of instructional content tied to specific subjects, along with customizable paths that grow and adjust to grades and standards. This allows for lower floors, higher ceilings, and wider walls -- meaning that educators can use littleBits to teach a wide variety of subjects, from Science to Design to Computer Science to Engineering, and many others. Both the STEAM Student Set Expansion Pack: Science and the Code Kit Expansion Pack: Computer Science solve for depth, allowing educators to deepen their littleBits experience with additional lessons and Bits, and breadth, with specific inventions and lessons. STEAM Student Set Expansion Pack: Science deepens students’ STEAM Student Set experience by offering new Science lessons for grades 3-5 and additional invention experiences with an accelerometer, sound trigger, threshold, Makey Makey, wire, long LED, and bargraph Bit, plus various accessories. Students will deepen their engineering design skills with NGSS-aligned Life and Earth Science subject matter. Code Kit Expansion Pack: Computer Science enriches students’ Code Kit experience by offering new Computer Science lessons for grades 3-5 and additional invention experiences with a proximity sensor, accelerometer, light sensor, random, wire, fork, number, and two long LED Bits, plus various accessories. Students will deepen their coding skills with CSTA-aligned Computer Science subject matter and hone their creative design skills by adhering to National Core Art Standards. Expansion Packs (MSRP $149 USD) are available for pre-sale via littleBits.com. Kits will begin shipping May 31, 2019.